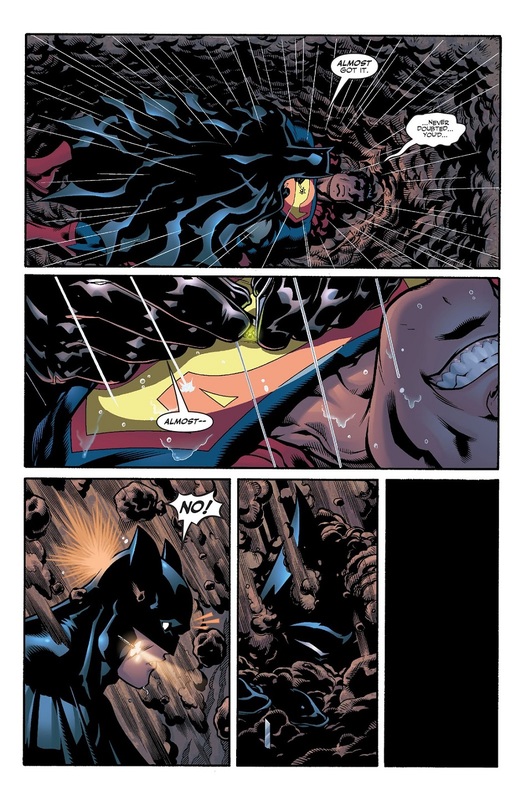 Yeah, and a reminder that this storyarc is the culminaiton of the entire President Luthor Subplot. Keep that in mind. Jeph Loeb writes comics kinda like action movies - they entertain on a casual read-through but fail to hold up when scrutinized more closely. Action movies are tailored to the theater experience, so the plot holes just have to remain unnoticed for the hour and a half the audience is watching them. Comics have inherent re-readability, which means that any charm found in stuff like this fades quickly. Damn that cave-in, they were finally gonna kiss! I'd ask why John Stewart, Starfire, Katana, Power Girl and Captain Atom are suddenly stupid enough to trust, listen and obey Lex Luthor, but I know the answer for most of them is "because Jeph Loeb". And in John and Nate's case, it's because they're ex-military, and as we all know, when you're military, you're a spineless chump who does whatever you're told, regardless of how evil and insane the person giving the orders obviously is. 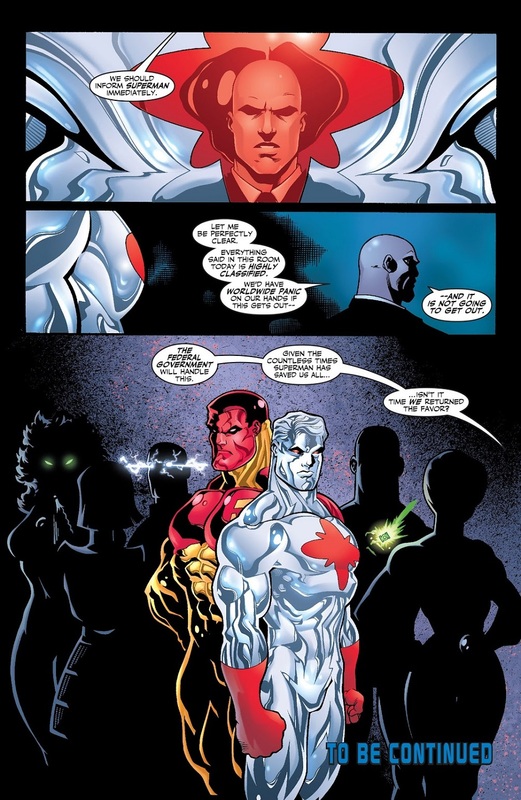 Captain Atom I can buy he would (maybe reluctantly) agree to work with Luthor. I think Captain Atom: Armageddon tried to explain to him because he was in a bad place thanks to his marriage disintegrating. 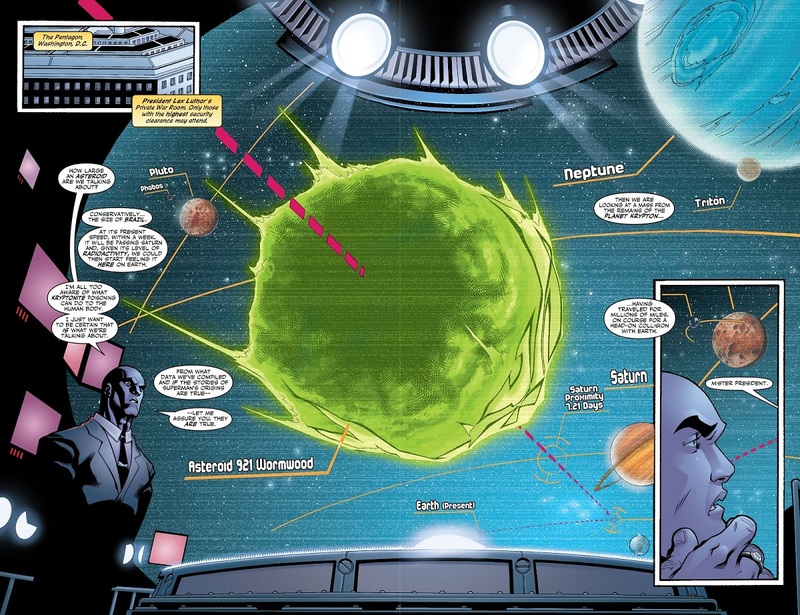 Starfire is such as random choice... Have the bubbly good natured alien work for a corrupt government official... Also, why is Luthor stupid enough to try and enlist one of Superman's Kyrptonian family members to take him out? Forget it being out of character for Karen, it's a stupid move for Lex. At this point, Karen was still treated as an Atlantean (with bits of her original origin sneaking in here and there thanks to Geoff Johns). 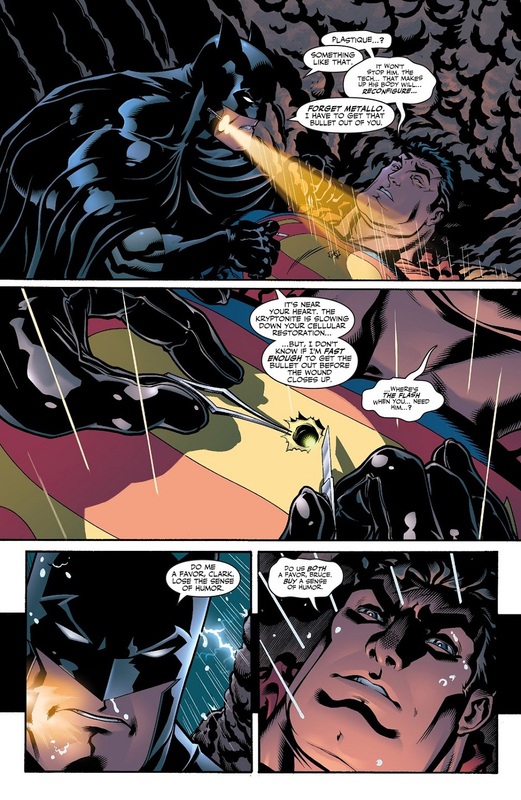 Karen's actually a double agent (so is Katana), so yeah Lex is beig stupid, but he's also hopped up on a Kryptonite derived drug. Forget working for Luthor, why were any of these people okay with working with Major Force. The man who MURDERED A WOMAN AND STUFFED HER INTO A FRIDGE. I mean... did Kyle just not tell anyone about that? You think that would be something he would bring up at some point. You'd think John at the very least would know, given he... y'know, works with Kyle. They don't all trust Luthor. IIRC, some of them are double agents. 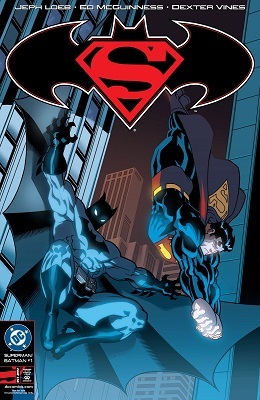 I think this still holds up reasonably well (I like the interplay between Clark and Bruce a lot under Loeb's pen), but I do agree that it doesn't blow me away like it used to. And besides the "buy a sense of humor" line makes me giggle. 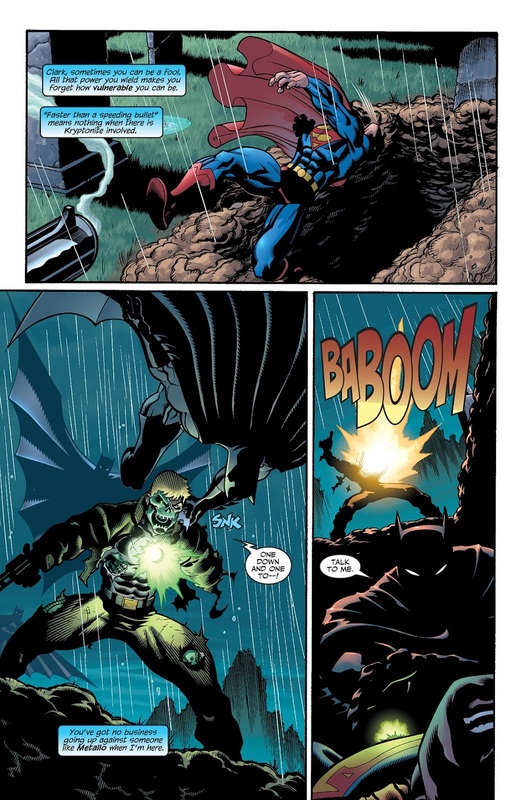 I also like the visual call back to the Super-stooge of Dark Knight Returns with Captain Atom there. I don't think Loeb's run holds up overall, but it had good moments like the "buy a sense of humor." 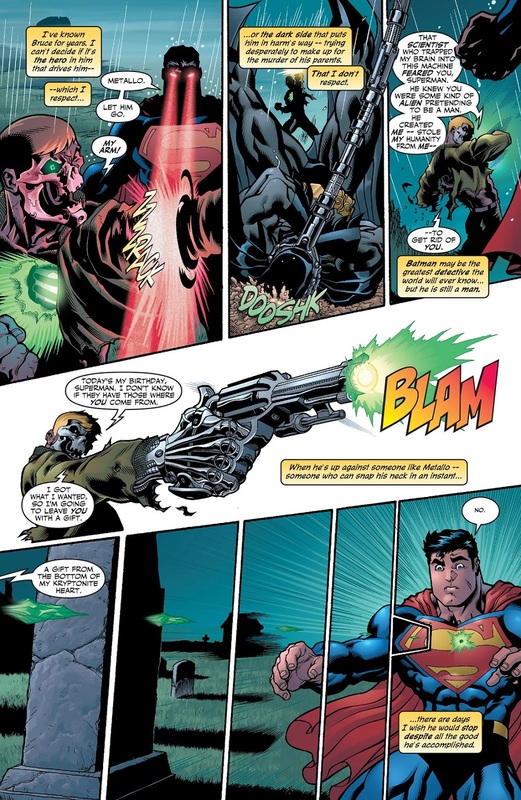 The line about Superman not seeing himself as a god while shooting fire from space (I'm paraphrasing) is another. That's a good way to put it. It's aggregate of dumb plots punctuated by quippy lines and sometimes good character moments.